Evoke the passion of art deco with this ring from the Apples of Gold jewelry collection. 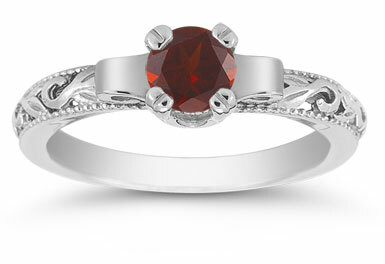 A fiery red garnet stone bring the boldness of art deco coloring to this ring. The white gold mounting makes a radiant display for this ring, while the band is similarly stunning. Precisely carved lines form swirled designs that easily catch the eye. To complete the design, beaded lines, called milgrain, are set along each edge. This ring is truly an example of art deco with its rich red-hued stone and excellently-defined shapes. 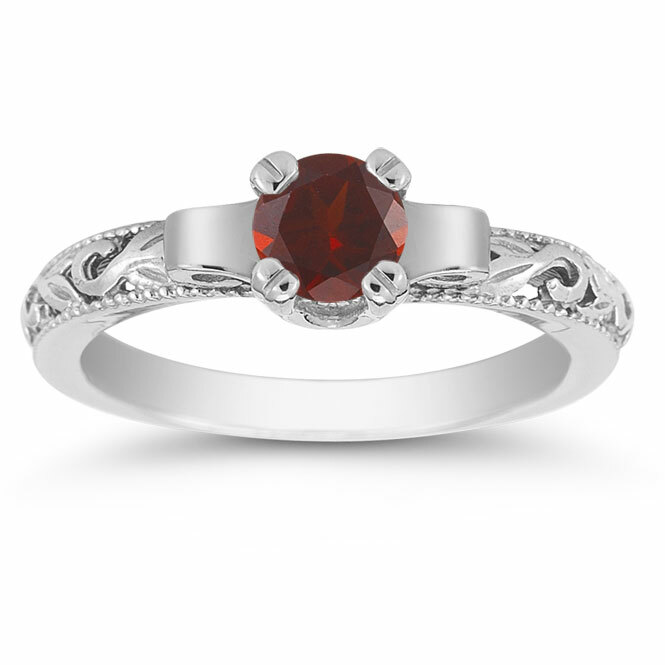 We guarantee our Art Deco Garnet Engagement Ring, 14K White Gold to be high quality, authentic jewelry, as described above.